Sick Lean X Lean Angle Shirts Now Available! Yesterday, We brought you a rider spotlight on Jonathan Ringeisen, a vet and CCS racer living the moto dream through his race-inspired clothing line Sick Lean. 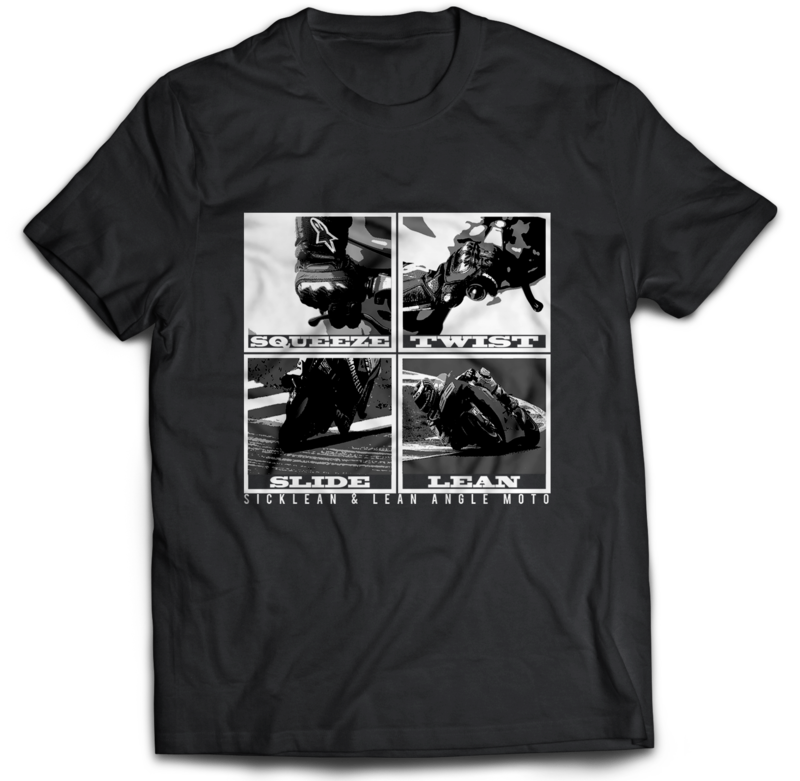 We had such a great time working with him that we decided to link up to bring you the very first Sick Lean & Lean Angle Moto Collaboration T-Shirt! Doctors say you should eat 3 square meals a day. We here at Lean Angle are hungry for a fourth though, so we bring you our collaboration featuring the four square meals of cornering: “Squeeze, Twist, Slide, Lean”! Check out the “Shop” Tab at the top of this page to visit the Sick Lean Store and place an order for one for yourself!